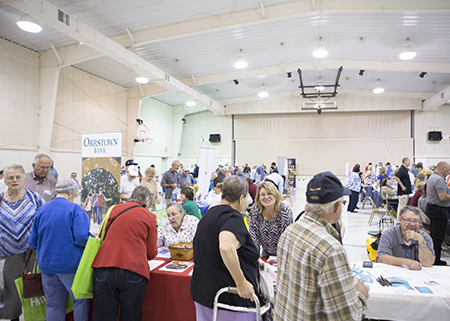 We had another fantastic turnout at my recent Senior Expo in Newport. I want to thank the more than 300 folks who attended, who came to learn about the programs and services available to older residents in our area. My staff and I had a great time talking with all of you. 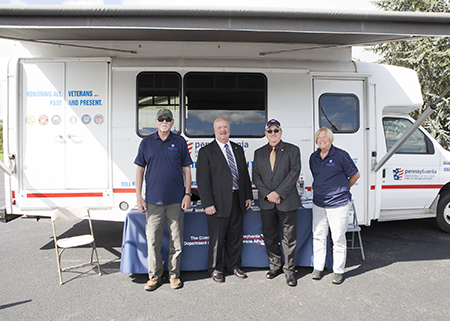 Thanks to all the businesses and organizations that took part as well, including the U.S. Department of Veterans Affairs’ Mobile Veterans Center, which provided free services to veterans and their family members. 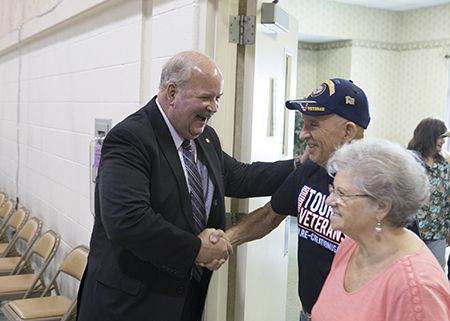 The House has approved legislation to help ensure proper upkeep of the graves of Pennsylvania veterans. However, new legislation would enhance current law to ensure cemeteries remove torn and weathered flags after the Fourth of July annually, and allow a veteran’s family member to keep them if they choose. House Bill 1471 and Senate Bill 1005 are awaiting action in the Senate. Residents wishing to obtain REAL ID-compliant driver’s licenses and photo ID cards can obtain them, beginning in March 2019. In the meantime, customers are encouraged to pre-verify for REAL ID by gathering the required documentation as soon as possible, giving them ample time to prepare. One of the required documents is a certified copy of a birth certificate, which can take up to several months to process, depending on one’s circumstances. My offices can help residents with birth certificate applications. Call or stop by for more information. To honor those who have fought breast cancer or are fighting it now, the Capitol fountain has been turned pink in recognition of Breast Cancer Awareness Month. 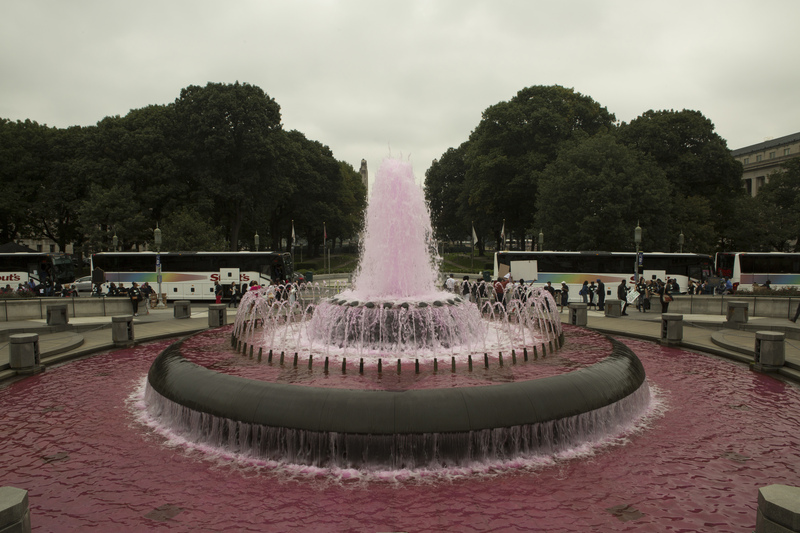 The pink fountain is also a reminder to all women of the importance of mammograms and early detection. This week, the House also passed a resolution recognizing October 2018 as “National Breast Cancer Awareness Month” and Oct. 19, 2018, as “National Mammography Day” in Pennsylvania. 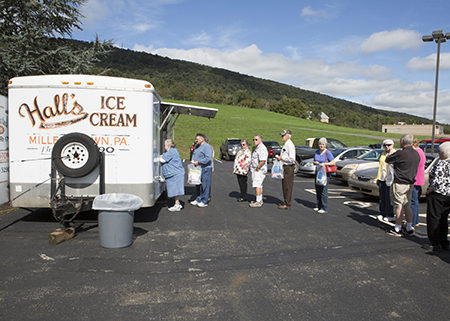 Fall leaves are just about to turn across several areas in Pennsylvania, helping to boost tourism activities in many regions. If you’re interested in checking out autumn’s splendor, the weekly fall foliage report is available here.